The 1993 computer game Transarctica introduced us to a post-apocalyptic world in which huge armored trains were the only way to safely travel between remote human settlements. 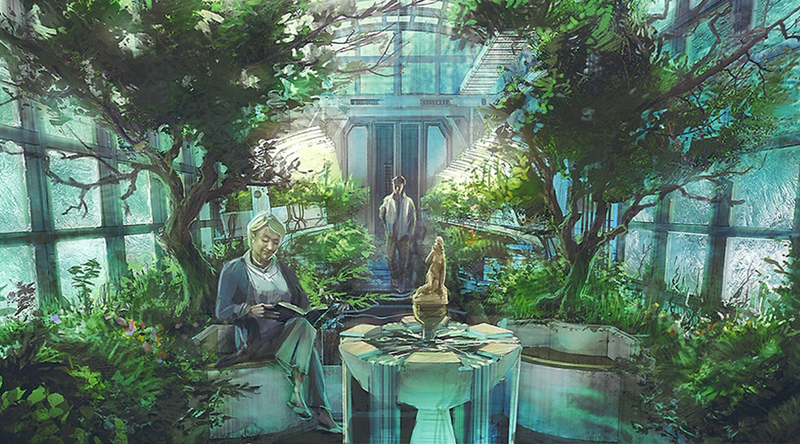 The game wasn’t much of a success — one reviewer called it “intentionally annoying” — but the setting proved to be an inspiration. It was based in part on Georges-Jean Arnaud’s La Compagnie des glaces (“The Ice Company”), a series of almost 100 science-fiction novels in which railway companies rule the ice-covered Earth. The books were adapted as graphic novels by Dargaud, but they discontinued the series after only fifteen installments due to lack of commercial success. 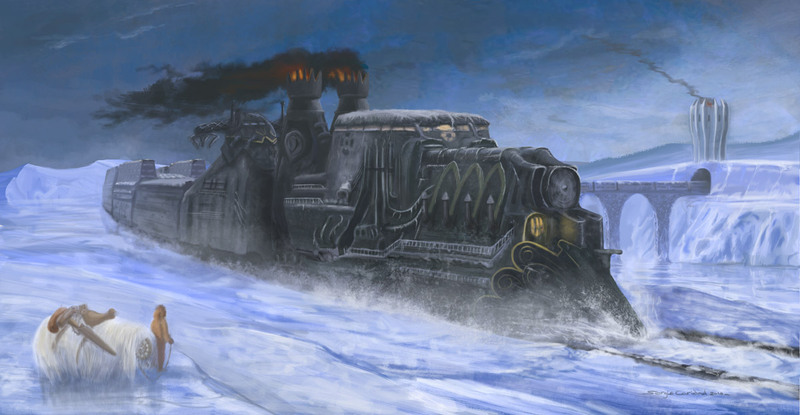 From the post-apocalyptic world of Transarctica and creepy Syberia, we move on to the delightful Polar Express from the 2004 Castle Rock movie of the same name, featuring Tom Hanks. 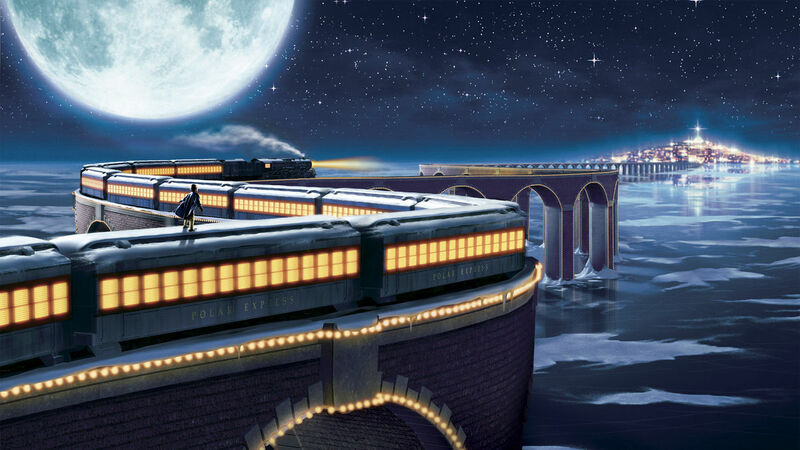 Based on a 1985 children’s book by Chris Van Allsburg, The Polar Express centers on a young boy who boards a train on Christmas Eve bound for the North Pole. Warner Brothers, who distributed the film, have kept the old promotional website online, which is worth a visit. 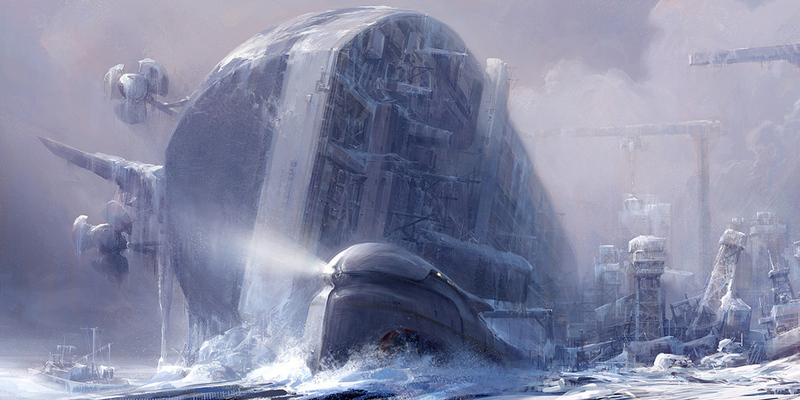 Back to dark dieselpunk again for Snowpiercer, Bong Joon-ho’s 2013 movie adaption of the French graphic novel Le Transperceneige. 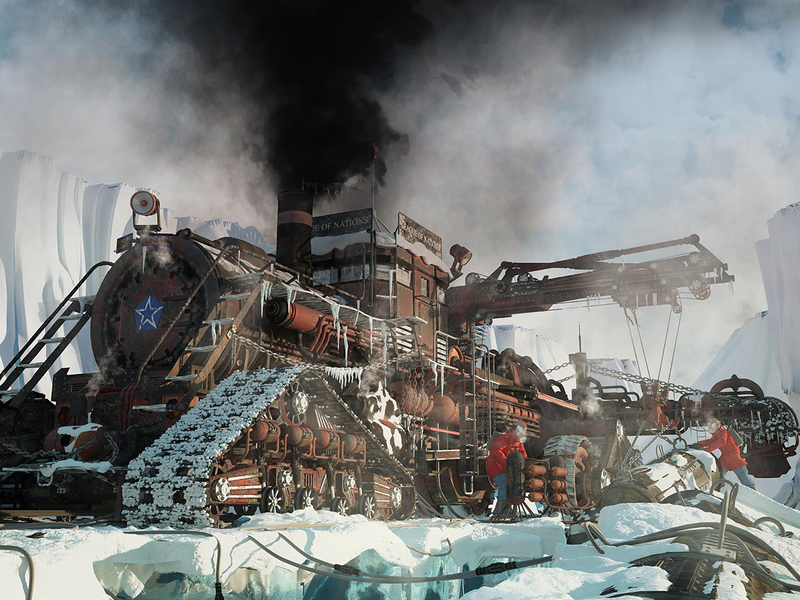 Much like the world of Transarctica, Snowpiercer‘s is one where human attempts to stop global warming have backfired. 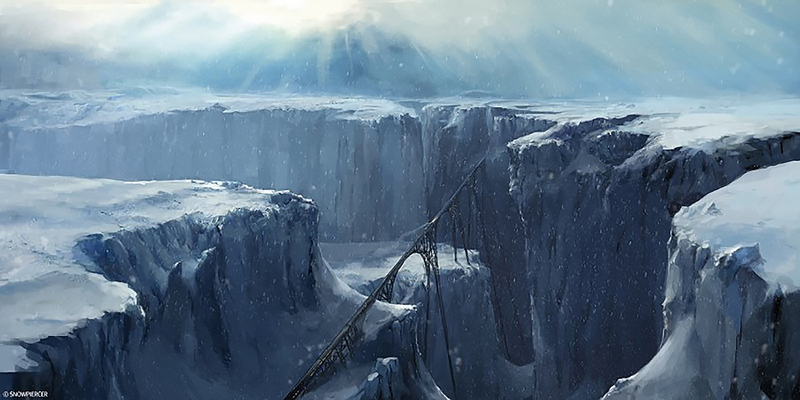 The entire world is now covered in ice. 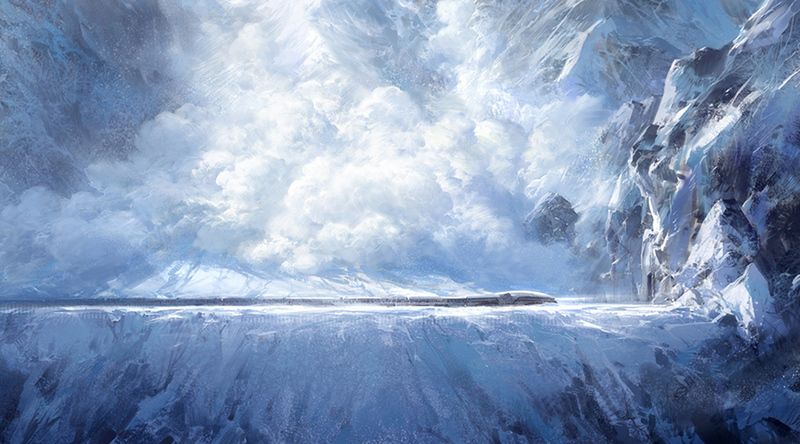 Human life is impossible outside of a single train, called the Snowpiercer. Life aboard is divided by class. The wealthy inhabit the luxurious cars in the front while the poor are locked up like animals in a single car at the tail. 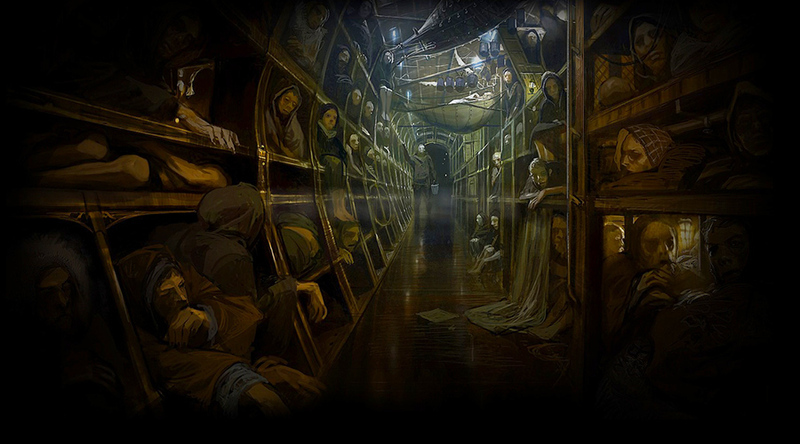 The movie follows a rebellion fighting its way to the front of the train. 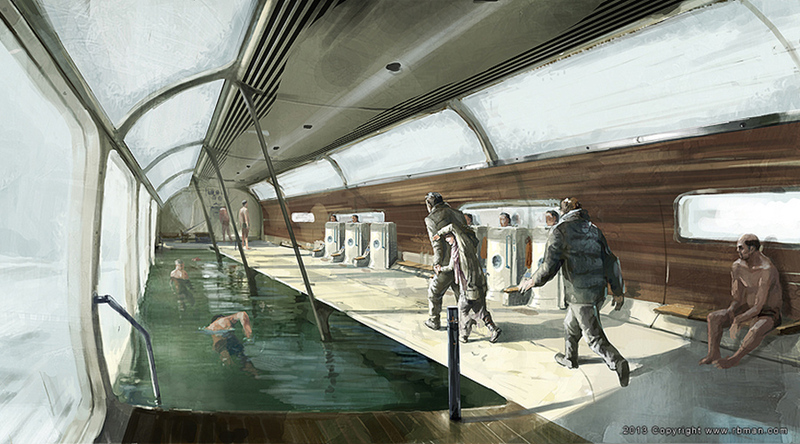 RBman Cho’s concept arts for the movie are a study in contrasts: we see cars with an aquarium, a botanical garden and a jacuzzi as well as Siberian prison-like conditions for those in the back. 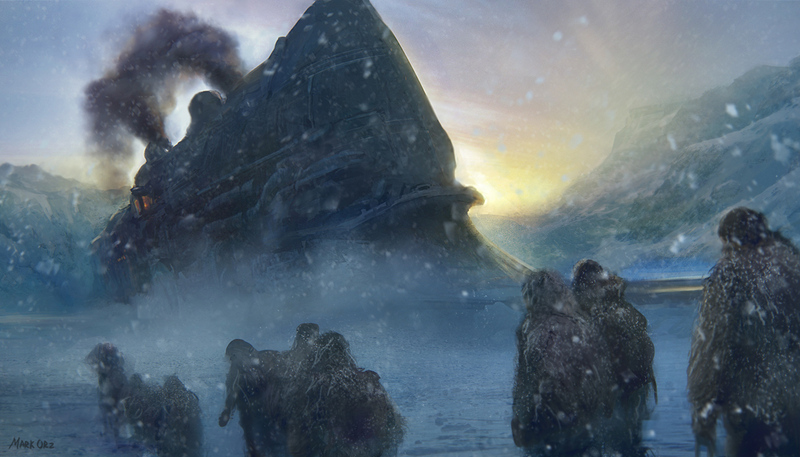 Check out his page on CGSociety for more. 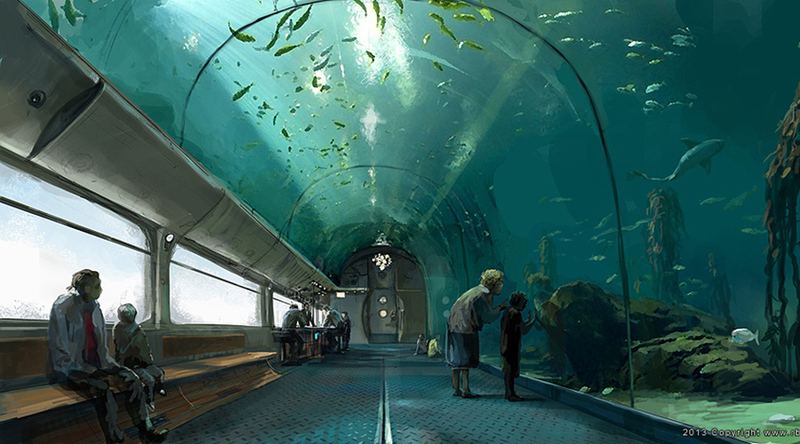 You may also be interested in an interview Vice conducted with the movie’s production designer, Ondrej Nekvasil. 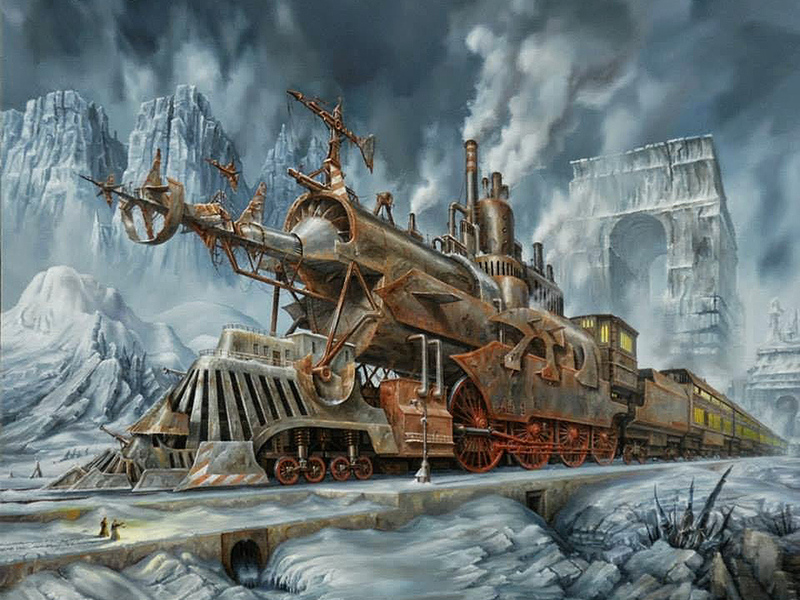 All these games, books and movies have inspired artists to come up with their own Arctic trains, including Sergio Caridad, Jarosław Jaśnikowski, Vladimir Kufeld and Mark Orzechowski. Talk about snow train overload! I never knew there were so many. 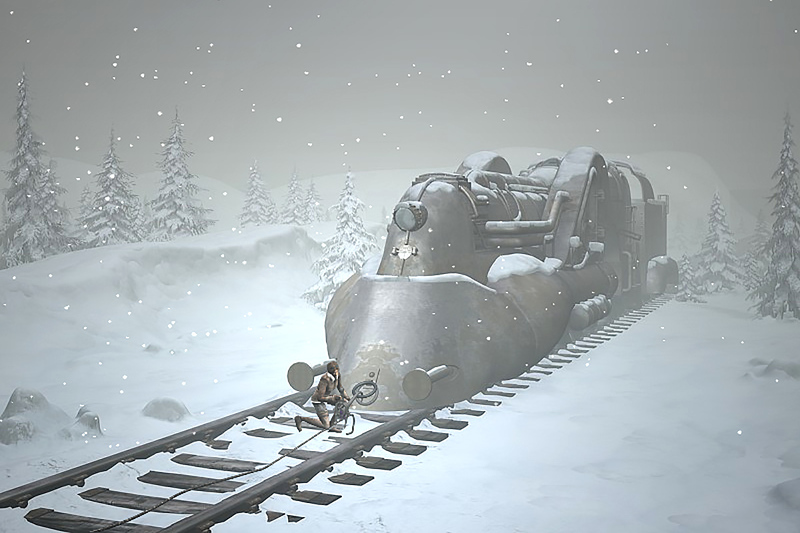 I wonder do any of them address ‘SNOWPIERCER’S’ huge point of improbability, the question of just WHY it keeps moving, something which makes it COLDER, due to the wind chill factor. Thanks for this. I don’t think that’s an issue in any of the other stories, no. I guess in Snowpiercer it’s also kind of a metaphor.